How to Remove Cinavia from UHD Blu-rays? Resource > 4K Media > How to Remove Cinavia from UHD Blu-rays? Summary: Find your 4K UHD Blu-ray contains Cinavia but still want to make a copy of it? Here we will introduce you the best UHD Cinavia Removal that can remove Cinavia from UHD Blu-rays completely. We’re all familiar with visual watermarks but not many people are aware of the fact that audio watermarks can also be added to various forms of digital content. The reason why these watermarks are less known is because they are designed to be inaudible to the listener under normal circumstances. The watermarks are meant as a form of digital rights management (DRM) that prevents people from making copies of discs that contain this type of protection. The most common DRM of this kind goes by the name of Cinavia and can be found embedded on most UHD Blu-ray discs, especially those containing movies. 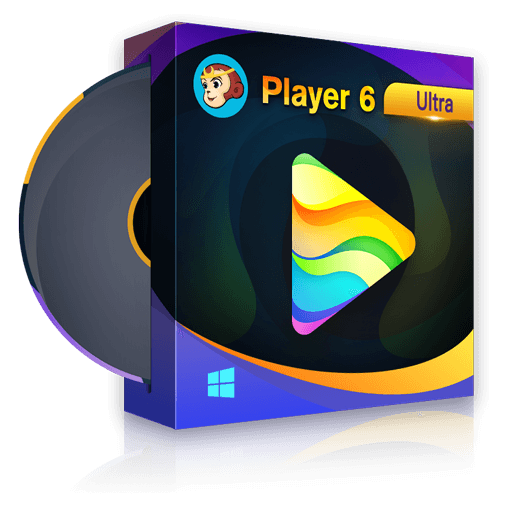 Likewise, media players compatible with this format are also required to come equipped with software that can detect Cinavia protected discs and prevents users from playing said discs if the protection has been tampered with. Theoretically, this is a foolproof system and it shouldn’t be possible to remove Cinavia from UHD Blu-ray discs. However, the reality is that a solution to this problem does exist and it allows anyone to make copies of these discs while also removing the protection in the process. The solution in question is DVDFab’s UHD Cinavia Removal tool and today we’re going to teach you how to use it. But before we start looking at the specific steps it’s important to note that it is entirely safe to remove Cinavia from UHD discs using this software. The original disc itself will actually not be affected at all and will continue to work as intended after using the removal tool. What the Cinavia removal does is allow you to create backup copies of UHD Blu-ray discs (work with DVDFab UHD Copy or UHD Ripper) that do not contain the protection but also work perfectly well on Cinavia enabled players, just like the originals. The advantage of having a tool like this at your disposal is that you don’t ever have to worry about scratched or lost discs ever again. Simply use the software to remove Cinavia from any UHD Blu-ray disc and then make a few copies that you can either keep as ISO files or digital formats or burn onto new discs. You don’t need to worry about any loss of quality either because the copies will be virtually identical to the original. In order to successfully remove Cinavia from the disc, the tool converts the original audio to a different format that’s very similar in terms of quality. Depending on which module you use, the audio will be converted to either lossless DTS-HD Master or AC3/AAC. 1. Your first order of business is downloading and installing DVDFab 10. The UHD Cinavia Removal tool is currently only available in the 64-bit version of the software, so make sure you’re downloading the correct version. Next, head over to the software’s Copy module and choose between the Main Movie and Full Disc modes. Finally, load the UHD Blu-ray disc you want to copy. Simply use the Add button to point the tool in the direction of the disc if it doesn’t automatically load it up. 2. If you’re using the Main Movie mode go to the audio menu to pick the track that contains the Cinavia protection. The number of tracks might vary depending on the disc, particularly if the movie is available in multiple languages. Protected tracks are marked with the Cinavia symbol to make them easier to identify. As a side note, this option is similar to the one used by DVDFab UHD Ripper so you may already be familiar with it if you’ve used that module in the past. If not, simply follow the normal ripping process and make sure that the Cinavia protected track is selected before you start ripping the disc. 3. When using the Full Disc Mode, the option to remove Cinavia appears under the Advanced Settings menu. 4. Now back to the Copy module. Before you start the conversion process you may want to make changes to certain aspects of the disc. For example, you might want to change the name of the output, its destination folder or its size. Once you’re happy with the changes you’ve made, simply press the Start button to remove Cinavia from the UHD disc and wait until the process is completed. The tool is very fast but this process could still take a bit of time depending on your hardware configuration and the size of the disc. Like most other types of DRM, Cinavia was designed to prevent people from illegally making copies of digital media. But while that goal is definitely a noble one, these types of protection systems tend to hurt honest customers more than anything else. Discs inevitably degrade over time and when that happens they become pretty much worthless to the people who purchased them. That’s why it’s a good idea to use a professional tool that can remove Cinavia from your UHD Blu-ray discs so that you can make backup copies of them just in the case the original discs no longer work at some point. There aren’t many tools that allow you to do this but DVDFab’s UHD Cinavia Removal software is more than capable of getting the job done without any issues. There are several models in UHD/DVD player which can play DVD and 4K Ultra HD Blu-ray discs with amazing ease and pace. Let’s go to check them. How to Extract Audio from 4K UHD Videos? How to extract audio from 4K UHD videos? Here we will introduce you a powerful 4K UHD video converter and show you how to use it. There are some 4K Ultra HD movies available for HDR on Netflix. Here we will show you how to access 4K HDR content on Netflix, list the best 4K HDR movies and recommend you a great 4K player.